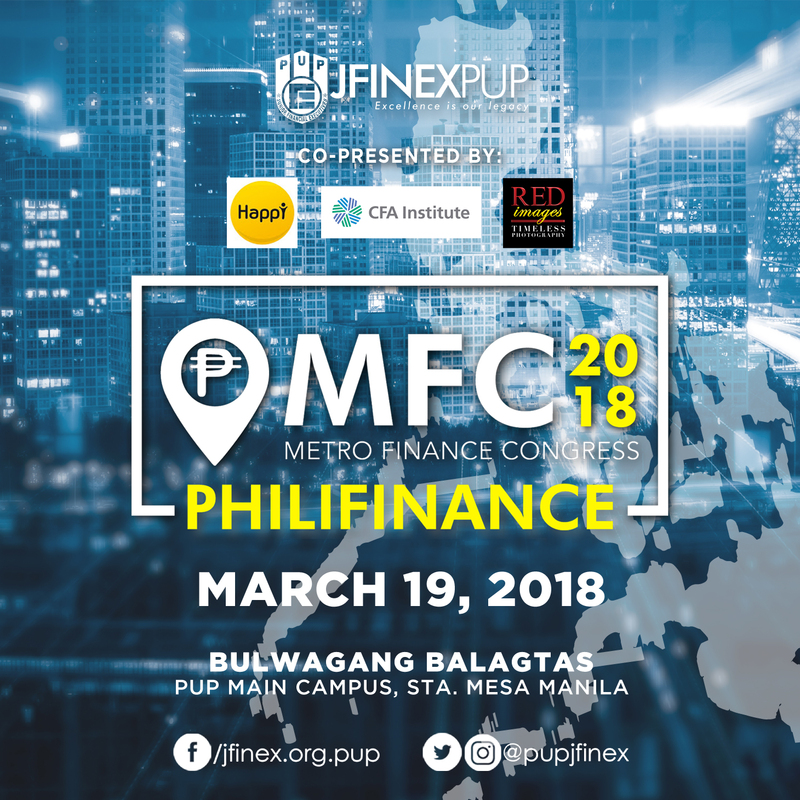 In line with the advocacy of the Junior Financial Executives PUP – Manila in promoting financial literacy, it will be holding its Metro Finance Congress on March 19, 2018 at Bulwagang Balagtas, PUP Main Campus. The Metro Finance Congress is a one-day conference that aims to endow the 900 student participants taking up finance and other business – related fields from within the PUP and from other universities in Metro Manila with ample knowledge about the Financial System here in the Philippines. Furthermore prudent choice of resource speakers from the different fields under business, banking and finance will be done to assure a fine discourse of the topic. The Junior Financial Executives – PUP Manila is a student-run organization with over 1800 active members, making it listed as one of the biggest JFINEX chapters in the Philippines. The organization intends to promote financial literacy to its members by upholding awareness about the field of banking and finance. With its initiative of moulding its members to become successful finance professionals in the future, the organization has been holding different interactive academic and non-academic events. Its goal for the academic year 2017-2018 is to build relationship with likeminded people during its promotion of financial literacy. The organization aspires to create a lasting difference not just to the lives of the members of its department but also to the whole PUP community through finance.